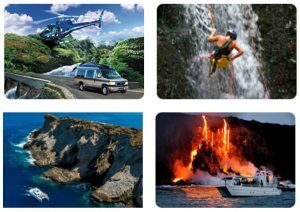 Through our member owned organization, we partner with the Hawaii County visitor Bureau along with common vendors used by our primary users, Activity Tour & Attractions, in Hawaii, printers, Credit Card Processors, Answering Services, Insurance providers, and countless other businesses. Our users are spread from Kauai, Oahu, Maui, Big Island and even Southern California and north into Canada. These users offer a variety of air, land, on and under-the-sea tour operators.